I think baby costumes in baby carriers are so funny. 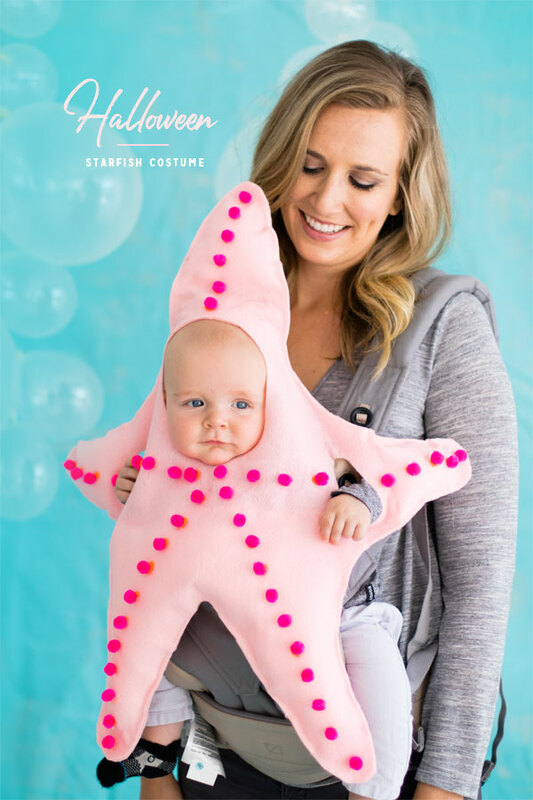 This sweet little starfish kills me! We even put Mom in a scuba gear costume to complete the theme. Click through to see the whole project. This no-sew costume just requires felt and and hot glue! So easy. The clever part is your baby doesn’t have to wear anything, you just attach it to the carrier and put the hood over their head. 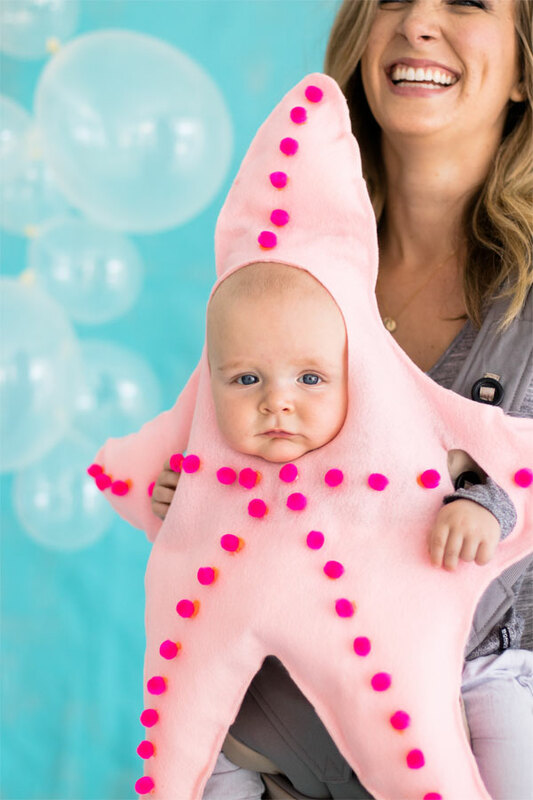 Step 1: Cut out two large pink felt stars, a mirror image of one another. Cut out a round hole near the center and two small ovals for the face and hands on one star. Step 2: Hot glue along the edges to fix the two stars together. Hot glue pom poms from the center to the ends of each limb. Flip the star over, and cut an oval shape on the backside, extending from one armhole to the other. Step 3: Stuff the legs of the starfish with polyfill and hot glue to seal it in place. Repeat with the arms and the head, sealing 2″ before the openings for the face and hands. 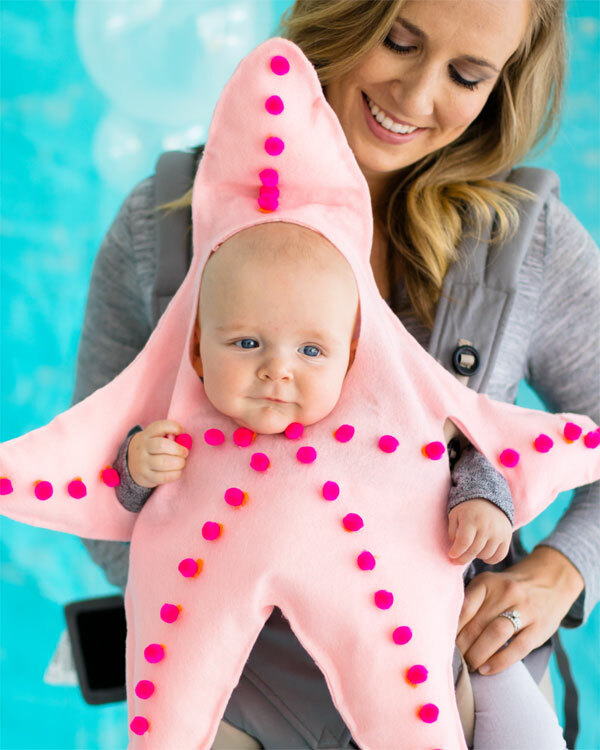 Step 4: Apply velcro to back of the star so that it rests on the shoulders of the baby in the Baby Bjorn. Think this is my favourite yet! 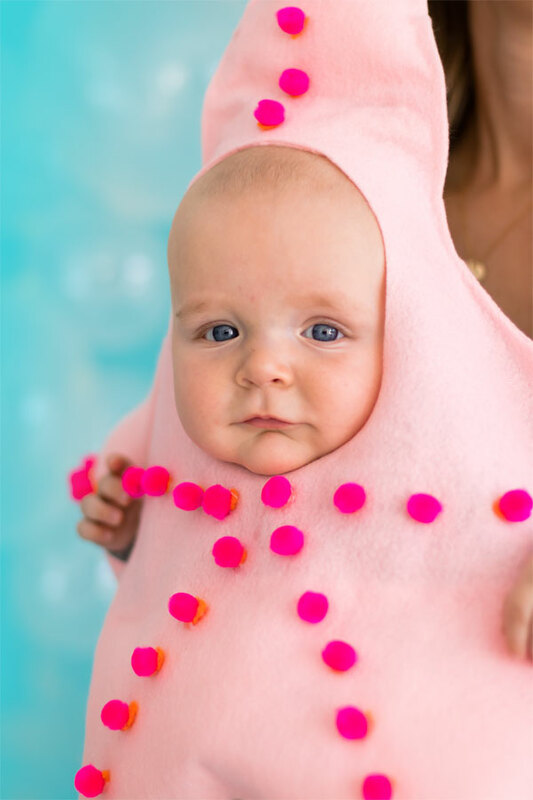 Possibly the cutest baby costume I’ve ever seen. Sweetness! I can’t stop smiling at this picture! So cute! super cute and not too hard to pull together! Love it!